Long-term, labor-intensive experiments are a huge commitment – both financially and physically – meaning they’re not the kind of projects that you want to undercut with shoddy equipment. 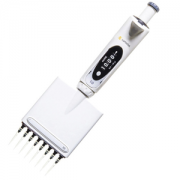 For this kind of research, investing in a premium multichannel pipette is highly recommended, as the products that we offer in this category are all cream of the crop. Below we examine three products from this category – the CappAero 384 Pipette, mLine Advanced Multichannel Pipette and Eppendorf Research Plus Multichannel – all of which are included in our 2016 guide. 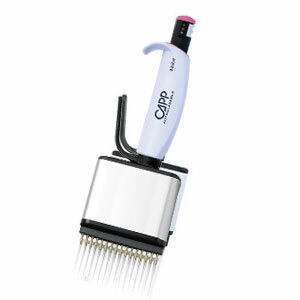 If you’re looking for the premium multichannel pipette, you can’t go wrong with the CappAero 384. Currently the world’s only alternative to higher precision through 16, 48 and 64-wells without the need for automated equipment. This design is commonly used in various applications in the pharmaceutical, medical, military, and government industries. This product is ideal for PCR, qRCP, micro-array, and MALDI spectrometry techniques. The features in this pipette were selected with researcher’s needs in mind. 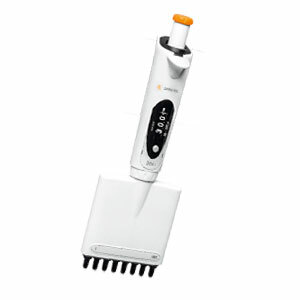 The mLine Advanced Multichannel pipette is the most highly designed model of Biohit’s product line. Designed to ensure comfort and accuracy in even the longest, most labor-intensive pipetting series’. With an extremely lightweight build, perfect sealing, and consistent precision, this makes a welcomed addition to long, arduous experiments that require a reliable and consistent level of comfort and precision. 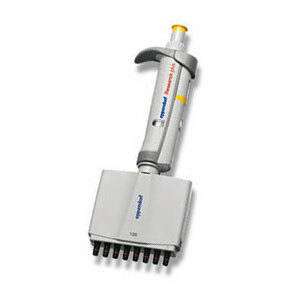 Renowned for their high level of quality and performance, this Eppendorf product will not disappoint. With a fully autoclavable and UV resistant design decontamination of your pipette will be a breeze. The spring loaded tip cones are guaranteed to reduce the stress in your hand due to repeated pipetting. With all of these features, this multichannel is well worth the price tag. If you’re willing to make the investment, you can be sure that your results will benefit. Premium multichannel pipettes are ideal choices for experiments that are either conducted over a long period of time or contain a high pipetting requirement that need a great deal of manual labor. When it comes to long-term experiments that require a great deal of time and money, all of our premium multichannel pipettes have something to offer your lab. Take a look at our vast selection at Pipette.com today and you will find plenty of tools that can get you the reliable results that you desire.